Director of Forestry Research, Canada & Northeastern/Northcentral U.S.
Solarik, K.A .,Spence, J.R. (In Press). The Experiment. In J Spence et al The EMEND Experiment: Guidance from a decade for boreal forestry of the future. Solarik, K.A., Spence, J.R., Volney, W.J. (In Press). Growth of the forest before and after application of variable retention harvest. In J Spence et al The EMEND Experiment: Guidance from a decade for boreal forestry of the future. Solarik, K.A., Lieffers, V.J., Spence, J.R., Sidders, D. & Volney, W.J. (In Press). Silvicultural implications of green-tree retention harvests in the boreal forest. In J Spence et al, The EMEND Experiment: Guidance from a decade for boreal forestry of the future. Solarik, K.A., Spence, J.R., Langor, D.W., Archibald, T., Bergeron, C., Volney, J.W.A. Prescribed Fires: Lessons Learned from EMEND. (In Prep). Solarik K.A., Messier, C., Bergeron, Y., Brassard, J., Vissault, S. Tree Demography under Climate Change: Large Permanent Plot Data at the Temperate-Boreal Forest Ecotone of Northeastern North America. (In Prep). Solarik, K.A., Cazelles, K., Messier, C., Bergeron, Y., and Gravel, D. Priority effects are preventing range shifts of deciduous tree species into the boreal forest. (In Prep). Xing D, Bergeron, J.A.C.,Solarik, K.A., Volney, W.J.A., Macdonald, E., Spence, J.R., He, F. Challenges in estimating forest biomass: use of allometric equations for three boreal species. (Under Review). Solarik, K.A., Kulbaba, S.P., Goeppel, A.E., Wiley, E., Landhäusser, S.M. Role of morphological and physiological seedling characteristics in drought response of two early successional broadleaf and conifer species.(Submitted). McCavour, M.J., McNair, S., Tittler, R., Gervais, D., Solarik, K.A., Greene, D.F., Messier, C. 2011. The effect of forest harvest residue removal on biodiversity in northwest Ontario with special reference to the hardwood component. Ontario Ministry of Natural Resources. 109p. Solarik, K.A. (2017). Limited Migration: Will Sugar Maple Tap Out to Climate Change. Doctoral Thesis. Université du Québec à Montréal. 212pg. Solarik, K.A., Messier, C., Gravel, D., Ouimet, R., Bergeron, Y. 2016. Local adaptation of trees at the range margins slows range shifts in the face of climate change. Oral Presentation. May 2nd. 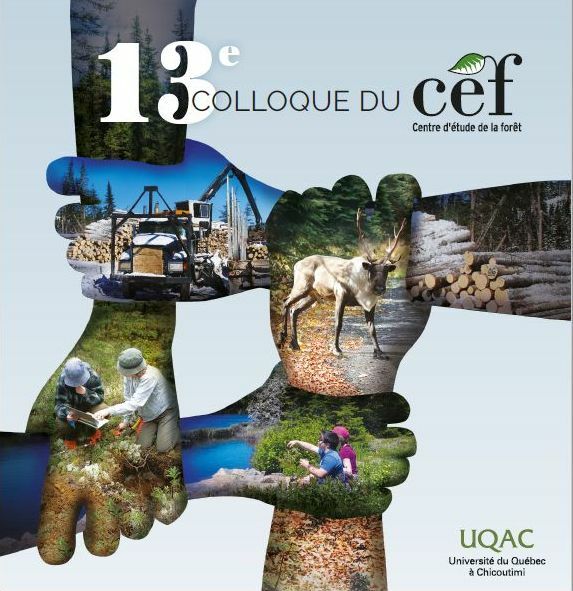 Colloque Annuel Du Centre D’Étude De La Forêt. Montréal, Québec. Solarik, K.A.2016. Climate change and Our Forests: A Canadian Perspective. Dawson College Environmental Science Seminar. February 25th, 2016. Montréal, Québec. Solarik, K.A.2016. L’envahissement de la forêt boréale par l`érable à sucre suite au changement climatique: mythe ou réalité. Oral presentation. February 18th, 2016. Initiative TRIADE. La Tuque, Québec. Solarik, K.A., Gravel, D., Ameztegui, A., Bergeron, Y., Messier, C. (2015). Assessing tree germination resilience to global warming: A manipulative experiment using sugar maple (Acer saccharum). Oral presentation. October 30th, 2015. Québec Centre for Biodiversity Science Symposium. Montréal, Québec. Solarik, K.A., Messier, C., Bergeron, Y., Gravel, D. (2015). Limited Migration: Will Sugar Maple (Acer saccharum) tap out to climate change. Oral Presentation. June 14th-18th, 2015. 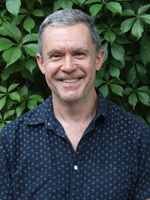 North American Forest Ecology Workshop (NAFEW). Veracruz, Mexico. Solarik, K.A. 2015. Germination: A better understanding. Oral Presentation. May 26th, 2015. Forest Complexity Modelling Workshop. St-Hippolyte, Québec. Solarik, K.A., Gravel, D., Ameztegui, A., Bergeron, Y., Messier, C. 2015. Acer saccharum germination rates are influenced by temperature Oral Presentation. April 30th – May 1st. Colloque Annuel Du Centre D’Étude De La Forêt. Rimouski, Québec. Solarik, K.A. 2014. Limited Migration: Will Sugar Maple Tap Out to Climate Change? Centre for Forest Research (CEF). Poster Presentation. April 29th-30th. Montreal, Quebec. Solarik, K.A. 2014. Limited Migration: Will Sugar Maple Tap Out to Climate Change? Université du Québec à Montreal. Oral Presentation, April 12th, 2014 Montreal, Quebec. Solarik, K.A. 2014. Limited Migration: Will Sugar Maple Tap Out to Climate Change? Le centre de semences forestières de Berthierville. Oral Presentation, July 10th, 2013. Berthierville, Quebec. Solarik, K.A. 2011. EMEND: A Silviculture Perspective. Oral Presentation. Foothills Research Insitute AGM. October 3, 2011. Edmonton, Alberta. Solarik, K.A., Volney, W.J., Lieffers, V.J., Spence, J.R., Hamann, A. 2010. Mortality of residual trees 10 years after variable retention harvest in the boreal forest: results from EMEND. Oral Presentation. August 9-13. PRIFOR2010. Sundsvall, Sweden. Solarik, K.A., Lieffers, V.J., Volney, W.J., Pelletier, R., Spence, J..R. 2010. Seed tree density, variable retention and stand composition influence recruitment of white spruce in the boreal mixedwood forests. Oral Presentation. April 15-16. Northern Forestry Centre, Edmonton, Alberta, Canada. Solarik, K.A., Lieffers, V.J., Volney, W.J., Pelletier, R. 2010. Natural Regeneration of White Spruce 10 years after variable retention in boreal mixedwood forests of different composition. CONFORWEST 2010. Oral presentation. January 21-23. Harrison Springs, British Columbia. Solarik, K.A. 2009. Tree survival and establishment in the 10 years after the variable-retention harvests at the EMEND experiment. Poster presentation. SFMN Conference. April 20-23. Gatineau, Quebec. Natural Sciences and Engineering Research Council of Canada (NSERC) Alexander Graham Bell Canada Graduate Scholarship (CGS-D). 2013-2016. 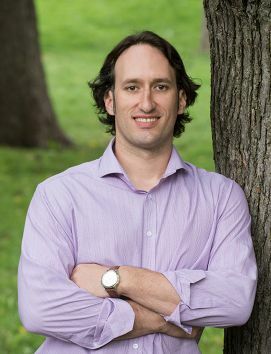 Forest Complexity Modelling Ph.D Scholarship. 2012-2014, 2016. Mary Louise Imrie & J Gordin Kaplan Graduate Students Award. 2010. University of Alberta Professional Development Grant. 2010. Alberta Graduate Student Scholarship. 2010. Desmond I Crossley Memorial Scholarship . 2008 and 2009. Canadian Interuniversity Sports Academic All-Canadian (Football) . 2005-2006. Canadian Safety Council – ATV Training Course. 2011. Chainsaw Safety Training – Level 3 – Intermediate. 2011. Canadian Pleasure Craft Operator. 2010. Canadian Safety Council - Green Driving Course. 2008. Canadian Restricted Firearms Safety Course. 2007. Canadian Long Arms Safety Course. 2001.